“I was at Kodansha with some rough outlines when I bumped into Isayama-sensei of Attack on Titan!! And then, all of a sudden, he drew this for me! I am so freaking happy! 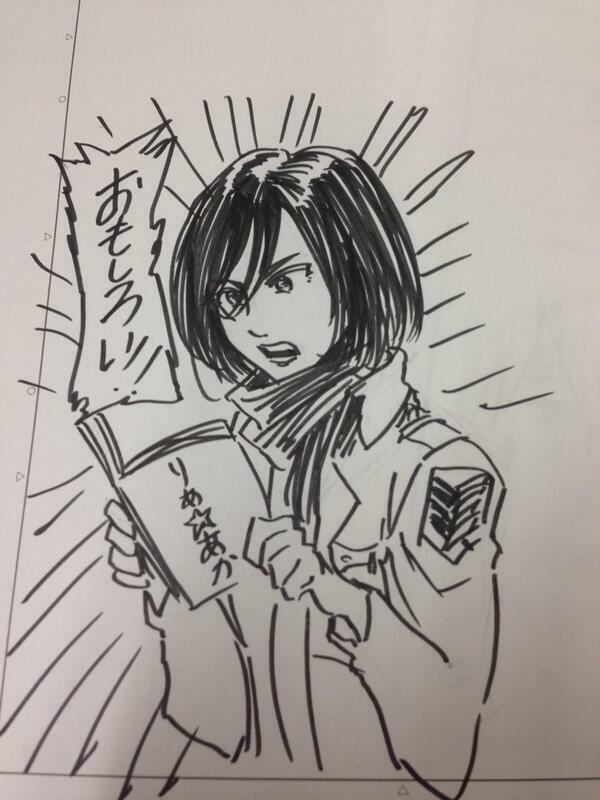 Mikasa is reading my work!” stated upcoming author Okushou via Twitter. 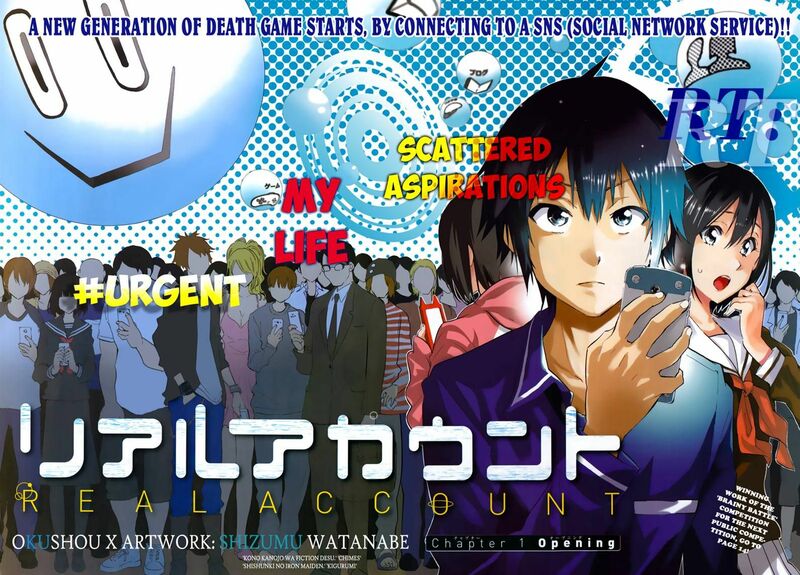 Okushou is the author of Real Account, a monthly manga based on social networking (SNS). The only problem is that the protagonist, Ataru Kashiwagi, is sucked into the system, in which having zero followers means instant death. It’s a manga that tackles the life of individuals living in the digital age. In addition, Real Account debuted on January 2014, and is illustrated by Watanabe Shizumu. 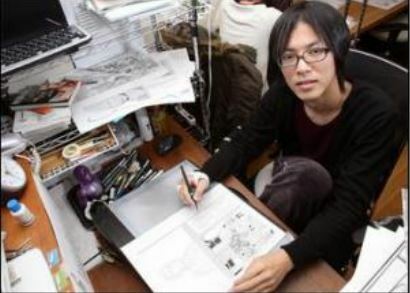 It goes to show that miracles can happen, but now two questions remain: how would you have reacted if Isayama personalized a sketch supporting your manga? And with the rise of social networking, will Real Account draw in a substantial amount of readers? Let us know!